On sale! 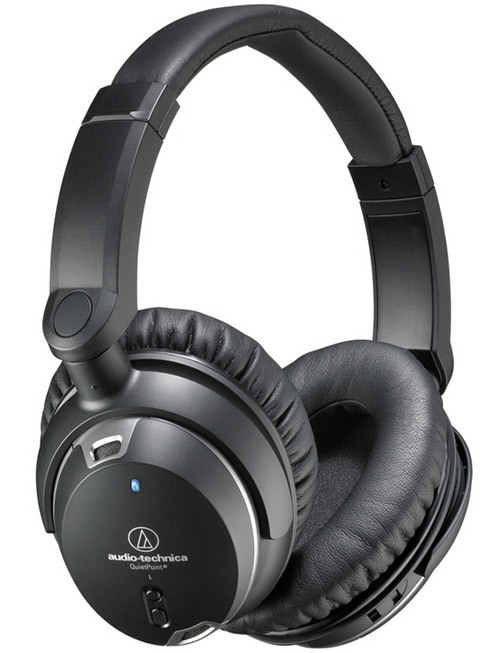 (normally $199) Audio-Technica’s ATH-ANC9 QuietPoint headphones use proprietary active noise-cancelling technology to provide a comfortable listening environment in areas with high ambient noise. Delivering noise cancellation up to a remarkable 95%, the ATH-ANC9 QuietPoint headphones feature Audio-Technica's new Tri-Level Cancellation. Mode 1, ideal for use on airplanes, trains and buses, applies maximum noise cancellation to low frequencies. Mode 2, designed especially for use in noisy offices or crowded places, targets the mid-range frequencies, while Mode 3 creates a pristine, peaceful environment ideal for study. The headphones feature four miniature microphones, two in each earpiece, that pick up ambient noise and create a sound-cancelling signal to effectively block the noise. The ATH-ANC9 headphones also offer a cable with an inline microphone and controller for answering calls and controlling music. The mic and controller support select products, including iPhones, iPads, and many iPods. The microphone has an omnidirectional pickup pattern and it is designed for crisp intelligibility, so your voice will be clearly transmitted without having to speak directly into the mic. 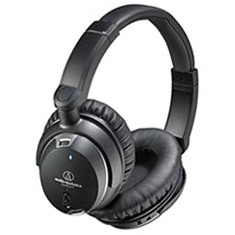 These headphones are designed to offer you crystal-clear sound that makes Audio-Technica the choice of leading artists worldwide. Wherever you happen to find yourself—in the comfort of your living room, in a noisy office, or settling in for a long flight—there is no better way to experience audio or immerse yourself in a peaceful environment.